Angel HousePress is a conduit for experiments in sound, colour and text. It began in 2007 with three chapbooks i self published in a limited edition of 26 copies. i had planned for AHP to be a sandbox where i'd play alone, but i have since decided to let others in to play along too. Invite is the key term for now. I'm not considering unsolicited manuscripts. I don't have the money or time to do so. The Angel In The House is a Victorian concept and poem about a very weak and mindless woman whose sole responsibility was to be charming. Perhaps you can see the irony. Amanda Earl’s poetry appears most recently in Rogue Stimulus: The Stephen Harper Holiday Anthology (Mansfield Press, 2010), Drunkenboat.com, the Windsor Review, and the White Wall Review. Her chapbooks are Welcome to Earth: poem for alien(s) (Book Thug, 2008), Eleanor and the Sad Phoenician's Other Woman above/ground press, 2007/2008. Amanda is the managing editor of Bywords.ca and the Bywords Quarterly Journal and runs AngelHousePress (www.angelhousepress.com). For more information on upcoming readings and recent publications, please visit www.amandaearl.com. 1 – When did AngelHousePress first start? How have your original goals as a publisher shifted since you started, if at all? And what have you learned through the process? i started AHP in 2007. my original goals were to publish my own work, mostly colourful visual stuff that i figured i couldn’t publish elsewhere in print because of the expense. i had planned to just do limited editions of my own, ephemeral stuff, especially artists’ books. But then my poetry workshop group wanted to publish a chapbook and i offered to publish it under AHP. the process of working so closely with everyone’s poetry gave me a fresh perspective and i discovered i enjoyed design and layout. so i published my group’s chapbook, Whack of Clouds. then an excellent but not well published writer shared some of his poetry with me and it was exquisite and intense stuff, so i wanted to publish it. he came up with the great idea of having a visual artist collaborate so that’s how Compositions by Jamie Bradley and Brenda Dunn was born. i have no strategy or plan to publish a multitude of chapbooks. i take things as they come and when i discover good work that should be out there and in people’s hands, i want to publish it. i’ve discovered there’s a thrill in publishing raw talent, ragged edges, rule breakers. in the early oughts i was taking a creative writing workshop at the University of Ottawa and found out about the ottawa small press book fair. a few of us from the class sold some of the workshop’s anthologies at the fair. i had no idea such a world existed. i thought publishing was just perfect bound books put out by mainstream publishers. i had no idea of the versatility and flexibility that the chapbook offered until i went to the fair. once i held one in my hand, (i think the first one was Jay MillAr’s the Small Blue from BookThug), i wanted to make them. i ended up running Bywords.ca and the Bywords Quarterly Journal as managing editor, which i did for four years before i started AHP. i am still managing editor of Bywords. i never tell anyone or any group what its roles and responsibilities should be. i think the creators of small magazines and books should enjoy themselves, do what they want and publish whatever they like. AHP’s own little niche is versatility and playfulness. aside from poetry, we’ve also published a print version of a web comic, a one pager called “Signs of the Apocalypse Magazine” that mixes apocalyptic language with an engraving by Albrecht Dürer, and are about to publish a memoir. unlike other chapbook presses that tend to go for a uniform design, we let the work itself determine the design , size and style of the chapbook. 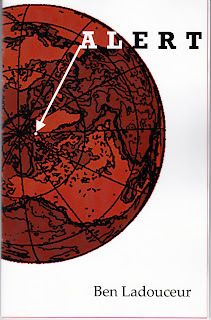 we also publish both essays and magazines on line. your own above/ground press is very much a model in that you also do on line publications which contain reviews, essays and interviews as well as poetry [Ottawater & 17 Seconds]. i’ve found the best thing is when the authors promote the work themselves. for example, Patrick Edwards Daugherty, the author of Secret Vespers: I Only Pretend To Hide promoted his chapbook on his website. we sold copies all over the world and sold out in a very short time. with AHP so far i have done a bit of both. it all depends on the work. this is a very grassroots effort. i carry chapbooks around with me; people buy them from me in my home; on the site we have a Paypal button. we sell at small press fairs and i advertise via our Facebook group and listserves. usual print run is 50 copies or for my own stuff- 26 copies. two: the author and my husband Charles. i do the basic layout and design in consultation with the author and Charles makes the magic. i don’t work with other editors for AHP. i work with other editors for Bywords.ca and the Bywords Quarterly Journal and that’s great, but for this project, i wanted to be independent. the benefits of working with other editors are you get fresh viewpoints on the work and they might catch something you miss. the drawbacks are that you have to compromise. for AHP, i don’t have to compromise and i get to work closely with the writer, which is something i enjoy. i understand the labour that goes into editing and publishing a work. i don’t send my work out lightly. i also tend to want to have a role in the design of the publication. i have seen some excellent work be marred by a bad design. for AHP which is funded solely by myself and my husband, i see nothing wrong with publishing my own work; however, for Bywords.ca and the Bywords Quarterly Journal, which is funded by the City of Ottawa, i would never publish my own work or the work of the editors. i wouldn’t stick my nose in the business of other presses and tell them who and how they should publish. i have enough of my own stuff to do. right now i’m just trying to keep up with things. since i’m recovering from a major health crisis i have to take things slowly. regardless, i am not in a rush to publish anything unless the time is right or the work makes me want to publish it. i’m not getting funding to do this so there’s no pressure to put out four books a year. the beauty of AHP is that it is completely independent from funding or any kind of rules. think of it as a rebel angel. i am really happy about the essay series. we have essays on various topics including visual poetry, poetics, fiction, women and gendered writing by well known writers such as Gil McElroy, Phil Hall and Gary Barwin and lesser known folk such as Kane X. Faucher, Jeff Fry, Jamie Bradley and Pearl Pirie with more on the way by Todd Swift, Christine McNair, and the trio of Luna Allison, Kathryn Hunt and Jessica Ruano. i want the essays to be an ongoing dialogue about creativity, risk, art, literature and more. so far we’ve had a bit of feedback, but i’d like to see a lot more. and i’d like to see responses to the essays in the form of new essays. i also had a plan to do some AHP launches but it hasn’t happened yet, mostly due to my health crisis. i’d like to do something different, a bit quirky and entertaining for people. i haven’t been able to arrange that yet. above/ground press, Proper Tales Press, BookThug, pooka press, Weed Flower Press, Black Bile Press, Greenboathouse Books, jwcurry’s 1cent and various other small presses i have seen at the Ottawa and Toronto Small Press Fairs over the years. also Dadaist and Surrealist pamphlets of the 20s and 30s by Tzara and Breton. 14 – How does the press work to engage with your immediate literary community, and community at large? What journals or presses do you see your books in immediate dialogue with? How important do you see those dialogues, those conversations? i’m interpreting “immediate literary community” as those who are local and “community at large” as those who are on line: via small press fairs when we can get to them, a FaceBook group, an AHP list serve, through the essay series, the National Poetry Month site, Experiment-O. journals or presses the books are in immediate dialogue with? i don’t know how to answer this. there’s nothing immediate about the contact we have with journals or presses and there isn’t really any dialogue other than my occasionally running into Cameron Anstee in the Glebe or you, rob at the 2nd Cup on Somerset or jwcurry on his bike. over the last ten years i’ve been quietly admiring and collecting the work of other chapbook presses. i just received a wonderful chapbook from derek beaulieu’s No. Press out of Calgary (“Seminar XVII” by Peter Jaeger) and a few others by US publisher Paper Kite Press (by Gary Barwin and Hugh Thomas). i’ve supported and promoted other small presses through AHP and through Bywords. i can’t think of the last time i saw a chapbook being reviewed in a journal. maybe this series will spark a dialogue. is it important? i suppose it would be fun to chat with other small pressers about design, distribution and such, but to be honest, the pleasure of the experience for me is the independence. as much as i enjoy learning from others, i really want to do this my own way. it’s a labour of love and doesn’t cost as much as a booze addiction. 15 – Do you hold regular or occasional readings or launches? How important do you see public readings and other events for your books? not yet. please see # 12. readings contribute but they aren’t the only promo tool. i’ve seen authors give readings and not sell a single book. there’s nothing more disappointing for an author than to work hard on preparing for a reading only to have just a handful of folk show up, or just family and friends. it’s a challenge to attract people to a reading even when the feature is a well known writer. i think a lot has to be done in the way of promotion especially on line, maybe podcasts. i know i am more likely to buy new work by someone i haven’t heard of if i can listen to them in the comfort of my own home, at my own schedule and with access to information about the work and the writer at my fingertips. again i also think the writer needs to have a hand in promoting his or her own work. rather than the press organizing a reading for the writer, it would be best in my opinion, if writers organized and promoted their own readings with back up support from the press. if writers are willing to take the initiative and promote themselves, there’s more of a chance people will show up and books will be sold. in every way possible, via FaceBook, the AHP list serve, various on line list serves such as UBuffalo Poetics, Spider Tangle, our sites: www.angelhousepress.com, www.experiment-o.com and www.nationalpoetrymonth.ca. i think having an active on line presence is an essential tool for a small press. we don’t have an IPhone ap. alas, but it’s very cool that Coach House does. no for chapbooks, yes for the essay series, Experiment-O.com and National PoetryMonth.ca. for the essay series, engaging, amusing or provocative articles that talk about the artist or writer’s work or someone else’s work or deal with poetics or other literary or artistic subjects and engage with other contemporary writing and art. for Experiment-O.com, something out of the artist’s or writer’s comfort zone. someone who writes mostly narrative, storytelling poems might contribute something that is more sound-based, less linear. someone who writes poetry might try their hand at short fiction, a new writer might consider doing an interview with seasoned writers about their work or vice versa. for nationalpoetrymonth.ca next year (this year’s submissions are closed), i want fun stuff, no unrequited love poems or woe is me poems and i’d like to avoid autobiographies as much as possible. i’d like to see really creative work. i especially want visual poems, quirky and maverick pieces. something compelling and arresting that makes the finger linger over the mouse before clicking away. in print, there’s Alert by Ben Ladouceur, a young emerging former Ottawa writer who is now in England. i like his style of writing, his sense of fun, his earnestness and imagination. i also really like his other chapbook which came out with Apartment 9, the Argossey and is written from the point of view of Odysseus’ dog. 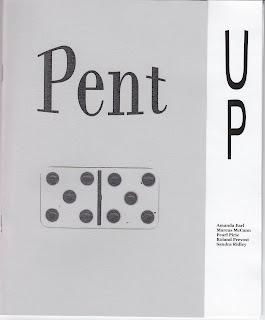 another chapbook we’ve published is Pent Up, by my workshop group, which was a lot of fun. the group consisted of me, Marcus McCann, Pearl Pirie, Sandra Ridley and Roland Prevost. the title comes from the idea of working on one or two particular sound constraints. the group challenged themselves quite a bit because many of us were not used to working so specifically with sound. on line, we’ve had two issues of Experiment-O so far and i’m really thrilled with those. the magazine celebrates the art of risk. contributors come from all over the world and are both emerging and well-known writers and artists. 19 – [adding my own question] What’s coming up? in April we have NationalPoetryMonth.ca with work by 30 different contributors from Canada, the USA and Europe. i wanted to celebrate the nation of poetry as something without borders of any kind. in June, all being well, two chapbooks will be published: house, a (tiny) memoir by rob mclennan and over my dead corpus by Pearl Pirie. also stay tuned for new essays in the spring and summer and a new issue of Experiment-O late in the year. AHP is tops! Yay, Amanda!